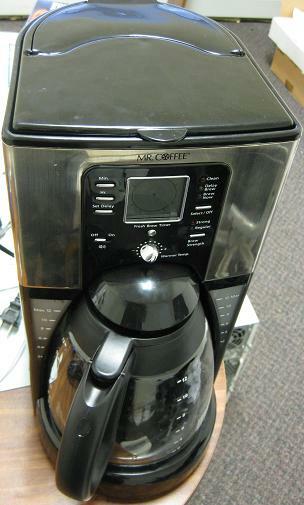 The FTX41CP Mr Coffee® 12 cup coffee machine, and the BVMC_EHX23 model are both of the EH Mr. Coffee series. They are similar in their features and functions, but there are some notable differences, as following. The latter one (that I bought a one Target branch) I had a hard time finding elsewhere; however, it seems to be identical to the BVMC-SJX33GT 12-Cup Programmable Coffeemaker, save for minor differences in the placement of some buttons on the control panel. 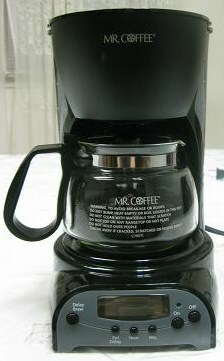 Let me add a small reservation here before I get to the reviews: there seems to be some widespread dissatisfaction and frustration out there in regard to the various Mr. Coffee machines of the FTX4 series, including the FTX43, FTX45, FTX49, and other models, due to malfunction, reliability and durability issues. 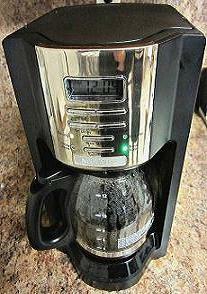 However, as per the ftx41cp coffeemaker reviewed here, I haven't experienced any problems with its functioning thus far. Regarding its durability, I'll have to wait and see and shall report back as time goes on. In terms of design, both are nice and attractive machines, but the FTX41cp 12 cup coffee machine takes the lead with its more handsome and modern design and look and feel; it makes a nice complement to the kitchen decor. Both coffee makers are programmable and include similar features and functions, but the FTX41cp has some advantages over the BVMC. Its main disadvantage is its price. In my testing the FTX41cp also was the winner in terms of temperature of the coffee. Whether it makes "hot enough" coffee can be debated, depending on one's tastes and likes, and there are coffeemakers (usually higher-end and higher-priced ones) that brew to higher temperatures, but it does seem to make hotter coffee than the cheaper model. Now, here are some advantages of the FTX41cp over the above-mentioned BVMC coffee machine. Design. As said the FTX41CP programmable coffeemachine has a more elegant and attractive design than the other BVMC. Temperature. Another advantage is that it has temperature controls to adjust the temperature level of the brew. Testing the temp of the coffee after sitting on the hotplate for about 1.5 hours, the former was 175 degree f, while the latter was 160. The temperature of both were lower while brewing, in the range of 140 to 160, with its peak of 192 (allegedly the optimal temperature for best coffee flavor extraction) at the last drops of water poured by the "shower head" over the coffee grounds (measured right below the shower head). Water Filter. Another advantage of the FTX41cp programmable 12 cup coffee machine is its water filter and the red Clean button. The water filtration system, according to Mr. Coffee (quoting their manual), "improves the taste of your coffee by removing up to 97% of the chlorine from the water you may use to brew your coffee." Shower Head. The Shower Head system that ensures more even distribution of water over the grounds is one piece integrated into the lid itself, so there's no need to move and remove it from over the filter basket. Dual Water Level Windows. Unlike the BVMC, the water chamber's window is at the front of the unit, and it has dual windows, both with marked water indicator levels, on both sides of the machine, very nicely designed and complementing the carafe also marked with water level indicators. Mine came with a permanent Mr. Coffee filter included. The BVMC didn't include one. 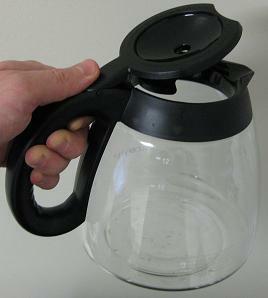 The Carafe of the FTX41cp coffee maker. The coffee machine has many advantages, and I recommend it. But nothing is perfect, and one flaw of this model is the shape of the decanter which makes it next to impossible to empty the last drops of coffee. Price. It's close to twice as expensive as the BVMC at about $50 in retail stores (at the time of this rating). The BVMC sells, I guess for about $35 or less. Carafe. It seems to me virtually impossible to empty the last drops of coffee from the carafe without spilling. This is due to its design differing from the standard-style decanter included with the BVMC. Filter. The coffee machine came with a Mr. Coffee reusable filter included, which is nice; however, when using paper filters, they did not fit in and kept to the walls of the filter basket as well as in my BVMC coffeemaker. Nonetheless, I didn't have a single incident yet of the paper filter folding over. Finger Prints. Due to the stainless steel finish, it gets tainted by finger prints that remain evident on the machine. There are some complains about condensation forming inside on the lid of the coffeemaker, as well as water leaking from the hole of the water chamber above in the back of the machine. These are normal with coffee makers, and hole serves as a protection not to exceed the water level. There are also reports of steam coming up from the carafe and affecting the clock, due to the design of this machine, with the carafe sticking out of the unit and the clock above it. I personally didn't have any issues with this. 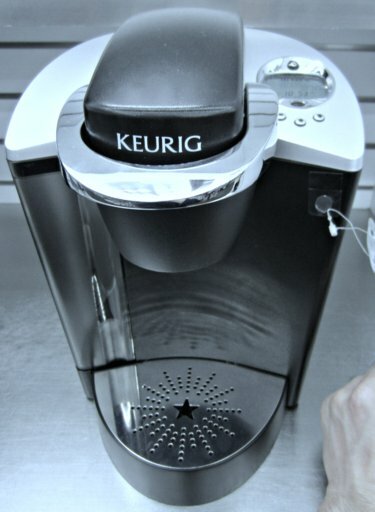 Otherwise the functionality of the 12 cup coffee machine is very similar to the BVMC. 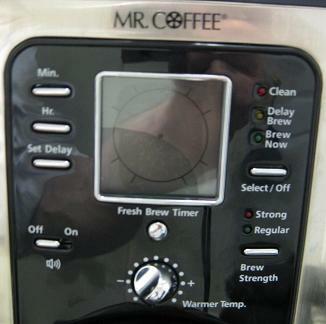 Both have great programmable features, like programming an automatic brew (to brew automatically at a later time), a heating plate keeping the coffee hot for 2 hours, beeping at the end of the brew letting you know the brew is finish, as well as when shutting off; auto shut-off; pause-&-serve (for sneaking out a cup before completion of the brew). A downside of both the coffee makers is that the buttons and controls are somewhat too elaborate and complicated. However, consulting the Mr Coffee manual manual that comes with the coffee machine, all the functions are very well explained. Bottom Line? In the comparison, the FTX41CP model takes the lead, although more expensive. If you can afford the extra $10-$15, it's worth it.